Yes! The first time I met Lori Reynolds I thought, "I've met my long lost SOUL SISTER!" There was an instant connection! The first thing we shared was a love of Italian greyhounds! Only certain people 'get' this breed and I love anyone who owns one! Lori's "Juliet" and my "Francie" and "Sophie"
Even Frederick The Great owned Italian greyhounds......preferring their company over that of humans! He coined the phrase "Three Dog Night" having to do with (of course) Italian greyhounds! I've always said the Italian greyhound is the best kept secret. The perfect pet! Fredrick The Great and beloved Italian greyhound...he owned 50 Italian greyhounds at a time! 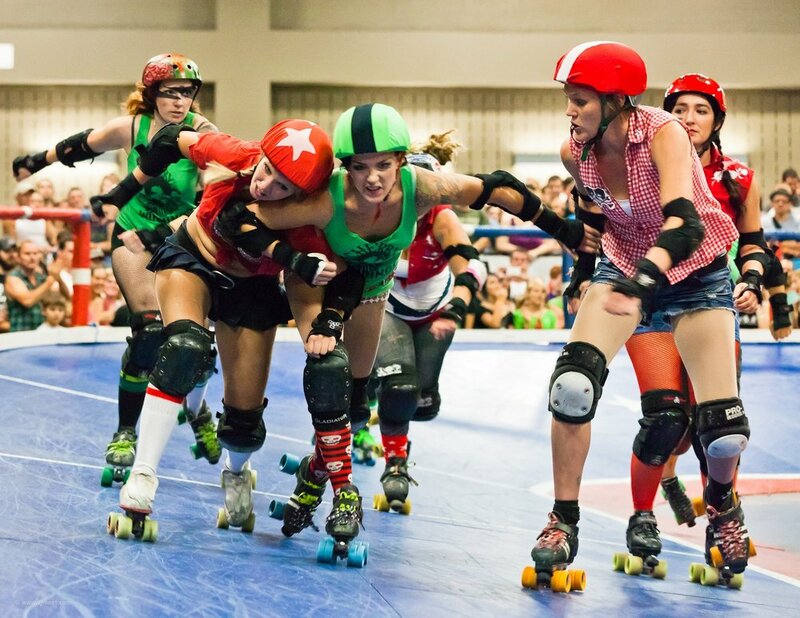 Lori and I wanted to be Roller Derby Queens, practicing night and day! Lori decided against this though and went on to get a degree in Fashion Merchandising. She is presently a "late-blooming" art student at Bradley University. BUT......where Lori and I really connect is over Fiber Art. You've probably seen her at local shows or the Farmer's Market on the Illinois River where she goes by the name The Creative Bohemian. The rich and saturated colors in the photo above are from the remnants of silk sari fabric. The scraps are cast-offs from sari factories in India and Nepal. The purchase of this gorgeous silk employs 300 women, enabling them to become self-reliant and work at home. It also keeps the fabric waste out of landfills. 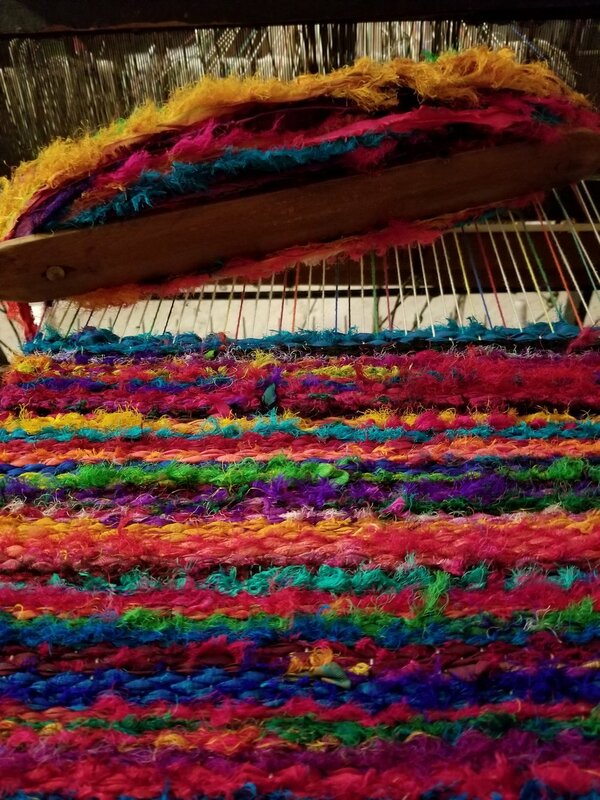 Sari Silk in the process of being woven on Lori's antique loom. WOW, look at that color! When you buy one of Lori's woven silk pieces, she reinvests the money earned into the purchase of more silk scraps to keep the cycle going. She also likes to use recycled T-shirts and denim. She's also a wonderful photographer! If you like specific colors, Lori is happy to do custom orders. She also creates memorial items from deceased loved ones t-shirts. Stop by The Sheared Edge this First Friday (November 3) between 5-9 PM to meet this fun, funky and fabulous artist!